The open source MongoDB database is featured prominently among a pack of Big Data NoSQL offerings all identified as "Leaders" in a new report from Forrester Research Inc. The firm surveyed 15 vendors in its Q3 2016 Forrester Wave report, naming nine as Leaders, five as Strong Performers and one as a Contender in the NoSQL space, which according to the company is a crucial technology for data-driven companies. 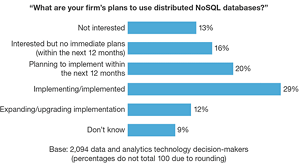 "NoSQL is not an option -- it has become a necessity to support next-generation applications," the report states. "And increasingly, enterprises of all types and sizes are embracing NoSQL to support their business technology (BT) agenda. A key strength for NoSQL is the ability to support scale-out architecture leveraging low-cost compute servers that are clustered to deliver performance of large, high-end SMP servers. In addition, its flexible schemaless model offers the ability to store, process and access any type of customer and business data." Enables elastic scale to support dynamic workloads. Supports flexible data models to support any type of data. Delivers extreme read and write capabilities for demanding customer apps. 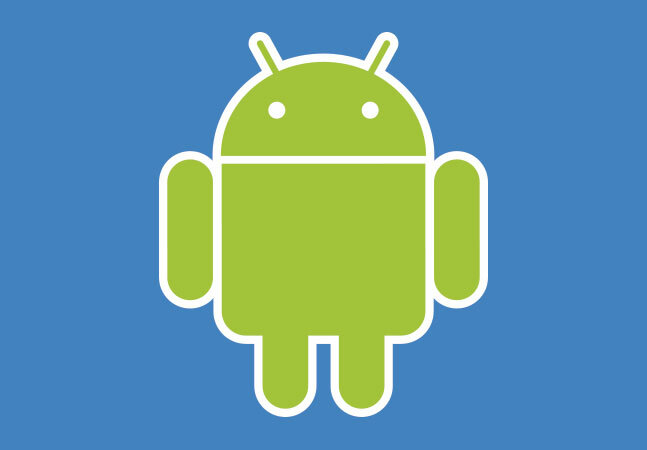 Simplifies data management for any type of application. 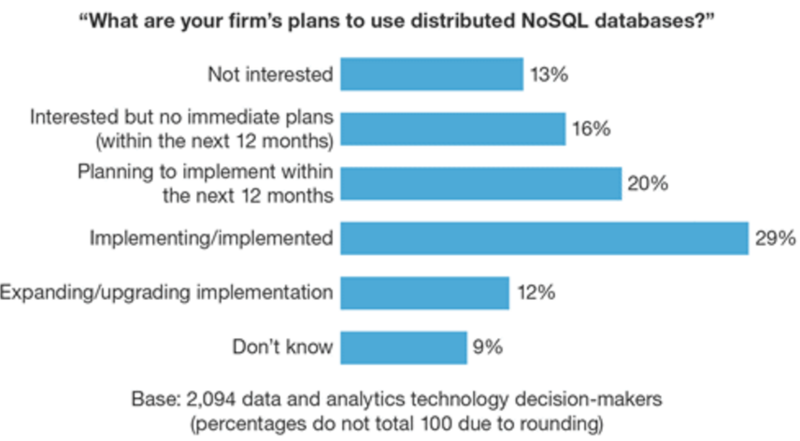 For its new NoSQL report, Forrester examined the following 15 vendors: Aerospike, Amazon Web Services (AWS), Basho Technologies, Couchbase, DataStax, Google, IBM, MarkLogic, MapR Technologies, MongoDB, Microsoft, Neo Technology, Oracle, OrientDB and Redis Labs. 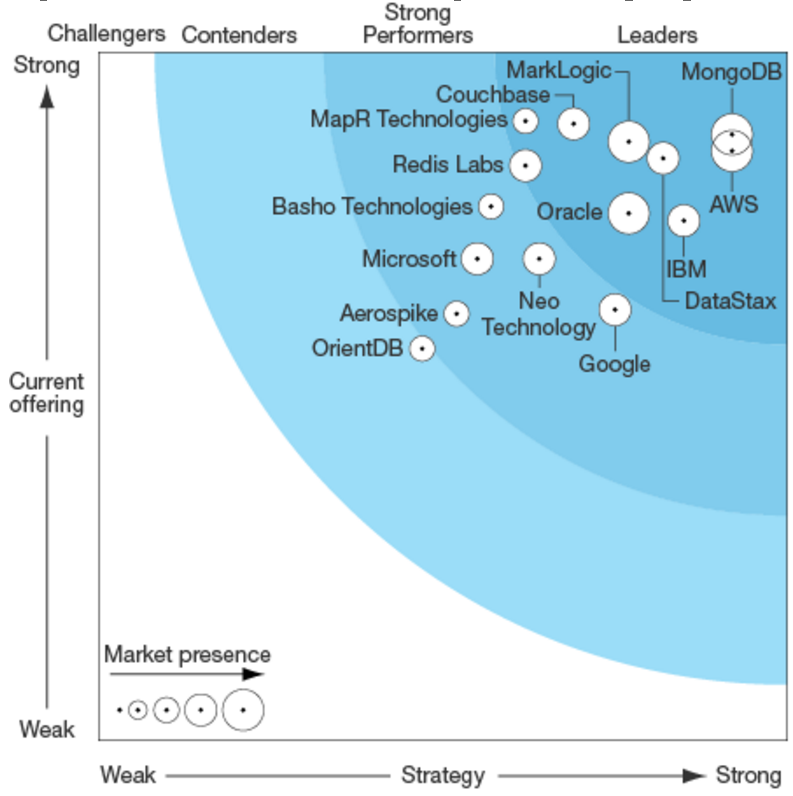 Among those, MongoDB was a standout. 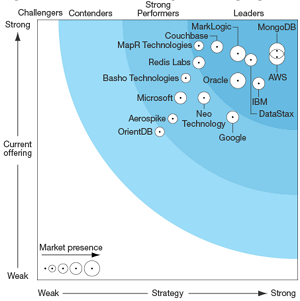 Although Forrester didn't provide a strict numerical ranking of the offerings, MongoDB was positioned near the top of both chart axes in the Wave graphic and led the numerical scores in the Deployment category, trailing only Couchbase (4.48 to 4.40) in the Current Offering weighting. Forrester also started its top 9 evaluations with MongoDB. "MongoDB remains the most popular NoSQL database," the report said. "MongoDB is an open source NoSQL document-oriented database optimized for natively storing, processing and accessing documents and other types of data sets. With more than 2,000 paying customers, including more than half of the Fortune 100 companies, it's popular among developers because it's easy to use, scales to meet the most demanding applications and offers the most comprehensive ecosystem of tools and partners." AWS is the most popular cloud NoSQL DBMS, offering related services such as backup, disaster recovery and Hadoop integration. 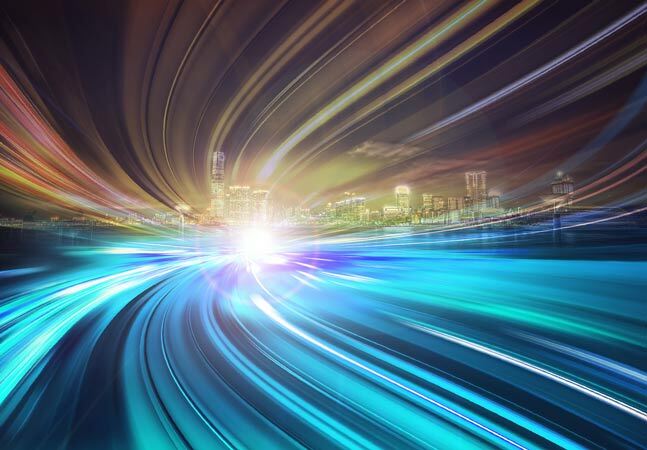 DataStax has strong capabilities for applications that demand data distribution across datacenters and the cloud leveraging the Apache Cassandra platform. MarkLogic's mature multimodel database has some of the largest NoSQL deployments across industries. IBM Cloudant is a cloud-based database service offering zero-configuration automation. Couchbase offers ease of use for document-oriented databases. Oracle offers distributed key-value database capabilities with integration with Oracle relational databases. 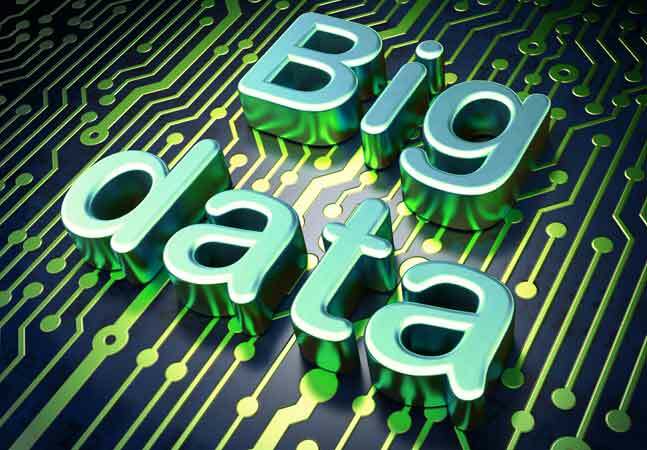 MapR Technologies' multimodel database platform includes Hadoop, Spark and event streaming. Redis Labs provides an enterprise-class version of the open source Redis database in the form of a managed cloud service (Redis Cloud) as well as on-premises software (Redis Labs Enterprise cluster). The Strong Performers category included Google Cloud Datastore, Basho Riak, Neo Technology's Neo4j, Microsoft DocumentDB and Aerospike. The last offering, OrientDB, was deemed a Contender. Forrester uses a combination of vendor surveys, product briefings and demos and customer reference calls in formulating its Wave reports, which it said should be only a starting point in more comprehensive evaluations of the various products.